SHARING A 7,000 YEAR OLD STORY. An unexpected find by an amateur diver near Venice, Florida, led to a groundbreaking archaeological discovery that could change everything scientists thought they knew about offshore archaeology. It also came with a slew of challenges regarding respectfully balancing scientific research and community interest with legal and ethical obligations to protect this culturally sensitive site. When a diver searching for fossilized shark teeth realized he may have recovered human remains, he reported the find to the Florida Department of State’s Bureau of Archaeological Research. What the BAR team eventually discovered was a 7,200-year-old Native American burial site submerged in 20 feet of water in the Gulf of Mexico. The offshore site was the first of its kind discovered in the Americas and one of just a few known in the world. 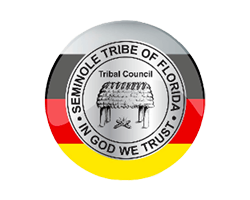 The site is also the final resting place for numerous ancestors of Florida’s indigenous people. 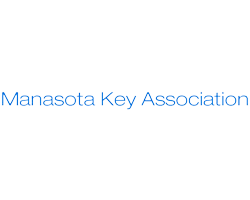 Under Florida law, it is the State’s responsibility to manage and protect the Manasota Key archaeological site and ensure it is treated in a respectful manner. Without staff located in the immediate area, the Department of State turned to community partners to assist in urgent protection and eventual education efforts surrounding the site. The Secretary of State invited the Venice-based Gulf Coast Community Foundation to coordinate efforts locally, and the foundation turned to atLarge for its expertise in strategy, communication, and more. With this historic discovery in our backyard, our team helped facilitate a diverse group of research, educational, cultural, and civic organizations to build a strategy to reveal this archaeological treasure while ensuring its protection once the information became public. Given its proximity to Venice, a well-known fossil-hunting destination, the site is in danger of disturbance by avocational divers or looters. Long-term site plans emphasize protecting this submerged landscape and the individuals buried there. Working with Nest, we were able to test early versions of their prototype HD camera by deploying them at critical locations around the site. Using multiple cameras, we were then able to build a custom portal for the Department of State and local authorities to monitor and review footage, 24 hours a day. The introduction of this type of monitoring added a new methodology to archaeological exploration, providing a mechanism to protect an invaluable piece of history while scientists continue to research, and the public begins to learn from it.